Few entrepreneurs, with the exception of a professional SEO company, have the resources on hand to develop and maintain their website in-house. The first few years of business are a crucial time that can determine whether your company sinks or swims; So, it’s important to have all of the puzzle pieces put together as early as possible. A website that effectively converts visitors into customers should be considered a crucial part of any new company’s marketing plan. So how are you supposed to build and maintain a decent website when you are already buried in work? Rest assured you are not the only entrepreneur facing this dilemma. Outsourcing your website development and maintenance to a professional SEO company is likely an affordable and effective option for you. 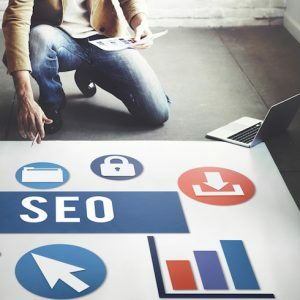 A professional SEO company can help your business do better by improving your search engine rankings using a wide variety of strategies and tools. Lots of things factor into your ranking: keyword choice and use, user experience, backlinks, tags, and so much more. An expert will be able to hit on all of the most important aspects of your ranking and bump you up on the results page. The higher up you appear in the rankings, the more likely a person is to visit your page. Another thing a professional SEO company can do for your business is to keep those visitors on your page longer. Think about the best websites you’ve ever visited: they were probably easy to navigate, visually appealing, and full of content that you were looking for. If your website doesn’t meet these needs, a great SEO web design company can help you spruce it up and keep your visitors’ attention, which in turn increases the likelihood they will become customers. While SEO stands for “search engine optimization,” Google and Bing are only part of an SEO plan’s target. In the end, you want real live people to visit your website. You want those people to find interesting and useful information on your website. You want your prospects to find the solutions to their problems in your products and services. And you want them to buy what you’re selling. A professional search engine optimization company will set up your website to convert more of your visitors into paying customers. Growing your customer base has to involve a great website. Nearly everybody shops online now for goods and services. If your potential customers can’t find you online, you may as well not be in business. But a good online marketing plan involves a lot of moving parts that need to be set up, optimized, monitored, and maintained. If you don’t have the time to do it yourself, it’s time to hire an expert. Hiring a professional means getting your digital marketing strategy aligned with modern shoppers’ preferences and habits. It means the job will be done carefully and correctly by someone who is experienced in building websites, researching keywords, building links, and a lot more. Call 770.580.3736 now with all of your questions or to request a Free SEO Audit.